Waves occur at the periphery of the ocean.. where the wind meets the ocean, the waves never seem to end. If you are experiencing the ocean at its surface, you will be swayed by the waves. You need a guide to transcend that periphery, and experience that exotic world deep inside where the waves have stopped. Desires occur at the periphery of the mind.. where the mind meets the world ‘out there’.. at the indriya (senses, body) level, desires never seem fulfilled. Going beyond that periphery, you discover the bliss ‘in there’. Transcending that periphery requires the grace of the Guru. Pranams Gurudeva ! Smiling from that lotus flower, you are our Shanmuka, who preached the secret – desire fulfilling – Pranava Mantra – AUM – to Lord Shiva. Those secrets are explained in the Mandukya Upanishad. We aren’t puzzled by such secrets.. for, we understand your grace. We follow you, our Venkatesa, into that blissful world where the waves stop. Jaya Guru Datta, Your Puttuji. Millions of prostrations to the lotus feet of Venkatesa Shanmuka Sadgurudeva !! Tat ksana dvirajo martyo jayate sphatikopamah !! I imagine Gurudeva like this beautifully seated on lotus on top of my head, I meditate,surrender and pray Appaji to accept me in His Grace, so that the waves stop !! Tatah kim tatah kim tatah kim tatah kim !! Namaha !! Om Namo Hanumate Namaha !! JGD.When I Look at the Sea and the roaring Assault of Waves, I always used to wonder will they ever stop.The Thoughts and Desires of Human is never cease,as the waves of the Sea the desires are also roaring and Dangerous.The Desire of One Man is another Lives death,at times.After some period with Sathguru Darshan and Teachings I saw that the waves DO GO BACK, this is what I wanted to Learn.When desires arises, make the desire retreat like the sea waves.This amounts having a thought of Desire, But the desire to fulfill is taken back.I see it as Good effort.When these Desires stop completlly when you realize that what all you Perceive is the Maya of the Lord. Appaji please bless all Datta devotees so that our desires stop as per your grace. All of us are satisfied with your grace and all of us are happy. Jaya Guru Datta. Though a little rustic, this reminds me of an adage from semi-urban areas. There was this person, a Yati – trying to take a holy dip (bath) in the ocean on the occasion of Maha Maaghi. Hours passed by and he didnt return, neither could take bath. There are a lot of people at the shore who were waiting for him to take the bath and he kept on saying, ‘i will take bath right after this wave’ for every wave. The waves would never stop and he ends up not going in…towards the end, he preached all people that the waves are not going to be ending and similar is the samsaara ocean where desires will never end. However, Puttuji’s explanation to the most appropriate and precise MMS today makes one learn HOW TO OVERCOME that situation with mind. Thanks a lot Appaji for guiding us all in the right direction. Jaya Guru Datta, Swamiji! My mother used to always say the two worst things that could happen to you were to get what you wanted and to not get what you wanted. Either way you were discontent. When you got what you wanted, it either wasn’t enough or you wanted something else. When you didn’t get what you wanted….well…you were still discontent. Happiness, she said, could be found in being content with what you had. But we are plagued with desires, every where we look, advertisers are filling our heads with more and more ideas about how we can be beautiful, rich, loved….if we just….But not all desires are bad….some desires are divinely inspired, calling us to do a particular seva, to be with our Guru, to learn more things spiritually. We all need to surrender our desires to the divine, but we also need to learn to discern when our Guru has placed a desire in us that is for our benefit. Help us learn that discernment, Swamiji, to know which longings come from your heart for us….. This MMS is showing the powerful nature of our desires that keep cropping up one after the other. A powerful message by our Beloved Sadguru. May Appaji bless us to control our desires. Jai Guru Datta. Reciting “Om Namo Hanumate Namah” helps very much when desires arise. Sri Swamiji gives us all the remedies necessary for this worldly life. This MMS is so wonderful! Thanks! Mind is a wonderful creation of God which can work for good cause like helping others and make us more egoistic. Desires is part of fulfilling ego. Desires are innumerable like number of leaves on a tree and new every second like waves. It’s a vicious cycle, completion of a desire leads to new one. It’s also true one needs God’s grace to realise and overcome this vicious cycle. As long a person suffers from ego and does not understand everything in our life is by God’s wish, the cycle of desire and struggle to fulfil them continues. May Lord bless us all to understand the almighty. Seeking Pujya Gurudev’s blessings… Jai Guru Datta. JGD Appaji! Powerhouse MMS!! When I visited the KSHT in Dallas, I saw these three pillars around which people would tie threads praying Hanuman to fulfill their wishes. The three pillars stood for Health, Wealth and Guru’s grace (apologies if I have recollected them wrongly). I was all set to tie three threads around all three pillars. But I do not know why I ended up tying only one and that was around the pillar that stood for Guru’s Grace. The thought that crossed my mind was “If I have Guru’s Grace, I will automatically have health and wealth, but if I keep great health, I can acquire wealth, but I cant acquire His grace with all the wealth”. That thought changed my thinking abilities. I used to crave for material possessions, hated to part with My things, even a fruit that grew in my garden, I could not share with anyone. Today, I do not have such disastrous cravings, I can only attribute it to my Sadguru’s Grace. jaya guru datta Appaji.thank you very much Appaji for this wonderful MMS. శ్రీ గురుదేవుల పాదపద్మములకు శతకోటి ప్రణామములు. Jaya Guru Datta Puttuji – Though I am often disappointed on myself not having enough discipline also to stop desires, this Nandana MMS with it’s happy lively music let me feel again, that only on my own I cannot stop my desires. That even here my Sadguru is guiding me and that I can count on His grace (of course contributing my part also). JGD. May we win Guru’s grace! JGD. how can we ever thank You for Your infinite grace ? Without Gurus Grace … let me seek always Gurudeva’ s Grace. Happy Navaratri, Om Sri Mataji. Very ture….. out in this world everything is filled with maya and our mind gets absorbed into this mundane lifestyle, like waves in ocean, our mind swings as per our desires. Being in constant relationship with our Sadguru, Sri Swamiji and watching these daily MMS video messages, HH Sri Swamiji is lifting us and making us realize the higher state of permanent happiness. but to feel the grandour of the ocean, would be ever so marvellous. Dear Datta gives us this taste … Thank You so much ! Jai Guru Datta, nothing is possible without the grace of the Guru. My Pranams to you Sadguru Deva. Jaya Guru Datta, what a wonderful mms after my family just got back from a two weeks vacation at the beach of north africa. Yes, I enjoyed the waves and the swimming in the ocean very much. But: I missed to be connected with the daily mms from Swamiji! Daily work is waiting again and I pray for support and help by knowing desires can never be fullfield. Thank you Swamiji for being always with me and my family. My humble prostration to the Lotus feet of my beloved Sadguru. Jaya Guru Datta! Yes, the mind is filled with desires. I didn’t realize that every day consists of tens of small desires until Sathgurudeva’s teachings pointed out. Sri Swamiji said that every desire that one has will be fulfilled, if not in this birth, in the future births. So, by letting the desires go unchecked, we are only prolonging the cycle of births and deaths. May our mind move from the periphery of the ocean to the depths of the ocean where we can drown in Sri Swamiji’s bliss. May our only desire to be to serve our Sathgurudeva who will then take us on to a state of no desires. Obeisance to the Holy Lotus Feet! Mein liebster GURUDEVA, ich bitte DICH innigst um DEINE Gnade, meine Ozeanwellen zu glätten. Desire is a sense of longing for an object or hoping for an outcome. All of us have some desire or the other. We strive hard and waste most of our valuable time in fulfilling our desires. But the difficult part is that, we don`t know where and when to put a full-stop to our desires. It becomes continuous and they come one after another. As mentioned in the MMS, desires are like the ocean waves. At the surface of the ocean the force of these waves are more. We get washed away easily. But the deeper part of the ocean is calm and silent. Similarly the outer world (samsara) we live in, has continuous flow of strong waves (desires). We get tossed and thrown in these turbulent waves of desires. But we have to overcome these waves and go deeper. 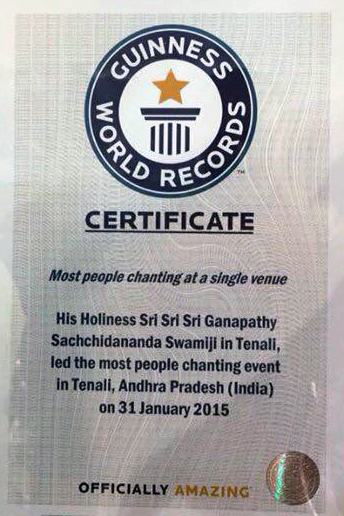 This is possible only by the grace of Sadguru. The Guru takes the true seeker deeper into the ocean of knowledge. He who faithfully follows Sadguru becomes like him, for the Sadguru helps to elevate the disciple to his own level of realization. I pray to pujya Gurudeva to help us overcome these waves of desire and lead us to Self-Realization. Jaya Gurudeva Datta! We all come with endless desires. One is fulfilled, it leads to another and this chain seems to go on forever – just like the waves in an ocean. The surface of ocean is unsteady due to these waves. It exactly how our minds are. Internally, when we meditate and think of the absolute God, listen to Appaji’s healing music, our minds become very calm and steady – just like the deep sea water! This steadiness can be gained only by the grace of our Sadguru, who makes us understand that desires are endless and are not worth pursuing! Our desire should be sing the names of God, serve Him and in turn mankind, which is nothing but the manifestation of the Supreme God as millions of beings! We must earn the grace of Guru as that will grant us all that we need in life. We must learn to be thankful for all God has blessed us with! The video very aptly conveys the message with wonderful music in the background. Jaya Guru Datta. Each desire is first a thought. Waves exist, ocean exists. => Desires/thoughts,mind exist, we exist. Waves do not exist, ocean exists. => Thoughts, mind do not exist, we exist. Going to the ocean we cannot say that we would watch it only when there are no waves. We are identifying ourselves with the waves and giving too much importance thinking waves are the ocean. Waves exists, ocean exists. Waves may not exist, ocean still exists. Knowing the difference between the waves and ocean is only possible by the grace of Appaji. What do we do about the waves..Let them be. They are coming from inside us, so even thoughts are a form of God. Waves rise and fall in the ocean itself, thoughts will rise and merge within us only. We need not run behind them.